Welcome to this Assertiveness Skills and Building Confidence Course. I’m Laura Fitzsimons and I’m a training and presenting coach of SkillWorks. Strong assertiveness skills are essential both in the workplace and outside of the workplace. Being able and capable of asserting ourselves makes us much more successful and happier in life. You can go through the course at your own pace however, it generally takes 7 1/2 to 8 hours to work through the materials and to practise the exercises and techniques. • I will teach you how to counteract aggressive behaviour. • I will also show you how to say no, and really mean it, without feeling guilty. • I will show you how to examine your self-confidence and you will learn how to become more self-confident to deal with any situation that presents itself to you. During the programme I’m going to look at self-limiting beliefs and how they hold you back. I’m going to examine how to challenge those and overcome them, and flip them over to empowering beliefs. I will do this through instructional videos, learner guides which you can reference as I’m working through the modules, as well as video transcripts so you can not only see what I’m saying, but hear what I’m saying. These will all help you learn to become more assertive and help build your confidence. Laura Fitzsimons, Managing Director of SkillWorks and is passionate about learning and development and helping people learn. 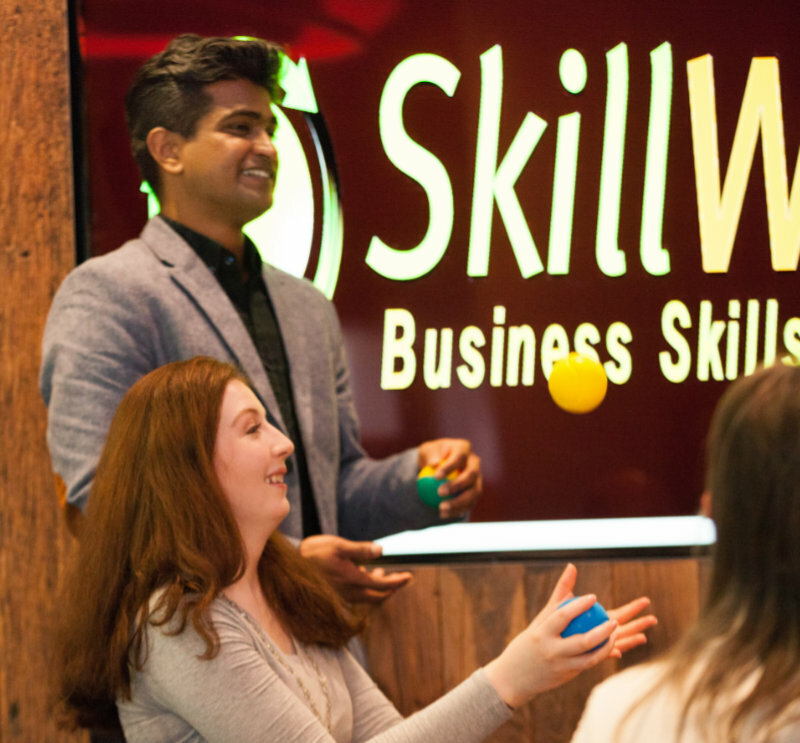 She founded SkillWorks in 2011 after working as an Independent Training Consultant since 2004. She has worked in retail and the financial sectors and spent over 10 years leading teams in Tech environments both in Ireland and the USA. She is a qualified trainer, Coach, NLP Practitioner and Psychometric Assessor. Laura has helped guide, coach and train people to become better leaders, become engaging presenters as well has how to become more resilient and assertive.